The SmartClass™ Fiber OLP-85 and -85P combine pass/fail fiber inspection and optical power measurement (OPM) into one solution. 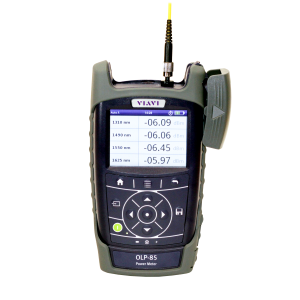 With a 100 dB dynamic range, the OLP-85 and -85P handheld optical power meters are professional, versatile, and compact instruments perfect for any fiber-optic network power or loss test applications. Their high accuracy over the entire range means that the OLP-85 and -85P perfectly fit applications where low power or very high power needs to be measured.